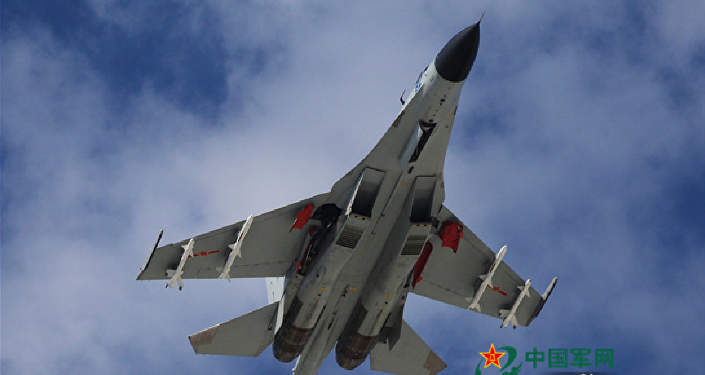 In February, Taiwan's Ministry of National Defense requested new and advanced fighter jets in order to "demonstrate our determination and ability to defend ourselves," Taiwan Deputy Defense Minister Shen Yi-ming told reporters at the time, resulting in outcry from Beijing, Sputnik previously reported. Relations between mainland China and Taiwan have been tense since 1949. China considers self-governing Taiwan part of its territory and claims sovereignty over it. Taiwan, by comparison, still bears the name of the pre-communist-era government, the Republic of China, the territory of which was confined to the island at the conclusion of the civil war in 1949, when the People's Republic of China was established on the mainland. Taipei has been attempting to improve its military forces with new US jets. Back in 2011, it asked the Obama administration if it could purchase General Dynamics F-16s. However, the request was rejected by the administration, which instead decided to aid Taiwan in refurbishing its existing fleet of F-16A/B models — the earliest versions of the aircraft, dating from the 1970s. Three anonymous Trump administration officials told Time on April 8 that the administration has decided to press pause on selling jet fighters to Taiwan until the US and China strike a trade deal, which is currently under negotiation. This development came shortly after a Bloomberg report last month stating that the Trump administration had approved Taiwan's request to buy more than 60 F-16 fighter jets. In March, Chinese Foreign Ministry Spokesperson Geng Shuang expressed Beijing's opposition to the arms sale. "China strongly opposes the sale of any US arms to Taiwan. This is a clear and unchanging position of Beijing", Geng told a press briefing. "Beijing is calling on the United States to recognize the sensitivity of this problem, respect the principle of 'One China.'" Washington has an unusual relationship with Taipei. When the US established formal diplomatic relations with China in 1979, it acknowledged Beijing's One China policy, which meant the US could not officially treat Taiwan as a sovereign nation. Unable to have formal diplomatic relations, the two governments communicate via the American Institute in Taiwan, which functions much as a formal US embassy would.